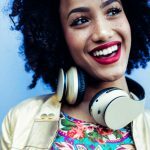 With all the teeth whitening products on the market, it seems like getting a brighter smile is only a matter of finding the right product for you. Over-the-counter whitening formulas, however, are not foolproof and, for some people, they’re not effective at all. Time to get the scoop on DIY whitening and professional teeth whitening. Visit your local pharmacy and you’ll find the oral health care aisle packed with whitening toothpastes and whitening pens, charcoal toothbrushes and whitening mouthwash. You will discover white strips formulated for sensitive teeth, fast results, maximum brightness, and so on. There is “extra whitening” and “brilliant white,” gel strips and gel-free strips. Options include generic to the most recognizable brands. Price points are all over the place. DIY whitening products aren’t strong enough. The formulation of OTC whitening strips does not include the carbamide peroxide and hydrogen peroxide of professional whitening treatments. These are the bleaching agents that truly blast away stains. Results will vary. You may have to use white strips again and again and again before you even start to make a dent in the color of your teeth, if they work at all. If you’re trying to whiten over a crown or filling, you will see no change in your teeth at all. Store-bought products have a one-size-fits-all formulation, and that isn’t ideal for teeth whitening. You could damage your teeth. 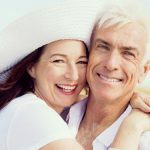 People who do see results from OTC whitening products may be so enamored with their look that they whiten as much as possible, and more than is recommended. This could damage tooth enamel and contribute to receding gums and tooth sensitivity. Whitening doesn’t last long. 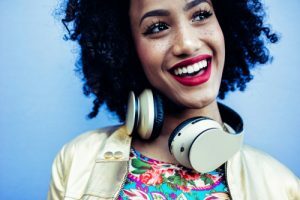 Some store-bought whitening products can scour away surface stains temporarily, but they’ll never be able to create that lustrous, white smile that celebrities have. Professional whitening breaks apart stains at their source to truly eliminate discoloration. It’s important to consult your dentist before attempting to make any changes to your teeth. Teeth whitening may not even be right for you and it would be better to know that no type of whitening will make a dent in your tooth stains. Some brown, grey, and yellow teeth look that way because of tetracycline staining, smoking, or even plain old DNA. When you have stains that aren’t going anywhere with whitening, you’ll need another solution to get the flawless teeth you want. For many people, the permanent whitening answer is porcelain veneers which cover every flaw, including dingy-looking teeth. If you do qualify for teeth whitening from your Arlington dentist, it will be carefully and evenly so your smile looks uniform and natural. All precautions are taken to minimize any sensitivity to the whitening products. Plus – and this is the best part for many patients – the ZOOM! whitening is done in about an hour. A white smile that will last for a long time on your lunch break? Yes, please. Don’t wait for your white teeth! 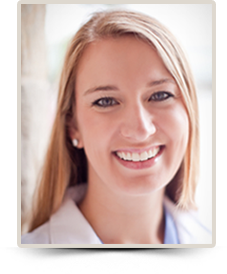 Contact Dr. Alana Macalik today to schedule a consultation and get that bright, beautiful smile you deserve. 2265 W. Green Oaks Blvd.